Hotel "Petrograd" is located at the entrance to the city. Zhytomyr from the side of Kiev. The hotel offers spacious comfortable rooms of various categories. Each room has cable TV, telephone, bathroom. 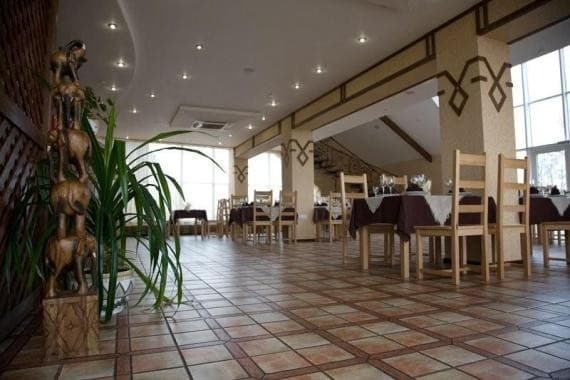 Hotel Petrograd has an exquisite restaurant serving Ukrainian and European cuisine. There is a banquet hall for 100 seats to celebrate the special events. There is a pub and a summer outdoor area for guests to use. Guests can visit the sauna with a large swimming pool, and for those who like active leisure, you can spend time on the tennis court or play billiards. On the territory of the hotel there is a parking lot. 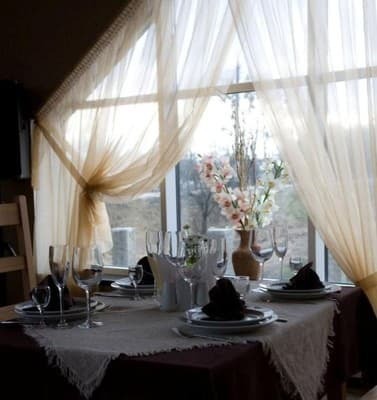 Hotel "Petrograd" is located in a 15 - minute drive from the center of Zhitomir. The distance to the car station is 4 km. Description of the room: Standard room is an average area of ​​16m2, a bathroom is 2.5m2. The room has a double bed with a width of 160 cm or 2 single beds (90 cm each), a wardrobe. Description of the room: Cozy one-room double room with an average area of ​​25m2, bathroom - 4m2 (equipped with a shower cabin). 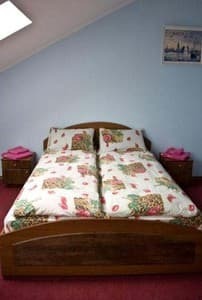 Double bed width of 160 cm or two single beds of 90 cm. The room has a coffee table, a wardrobe. Description of the room: Cozy family room. A sofa is available as an extra bed. Check the price for the reservation. 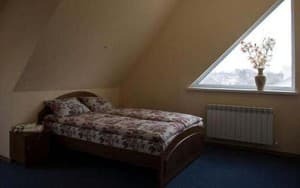 Description of the room: Cozy one-room average area of ​​35m2, bathroom - 4m2. The room has a double bed with a width of 160 cm, a fold-out sofa bed, a coffee table, a wardrobe. Description of the room: Cozy one-room average area of ​​50m2, bathroom - 16m2 (equipped with a bath and bidet). 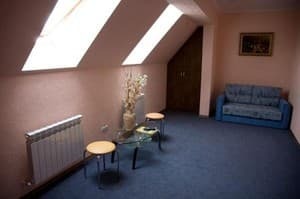 The room has a double bed with a width of 2.2 cm, a coffee table and a wardrobe. Description of the room: Cozy two-room suite with an average area of ​​50 m2, bathroom - 5 m2. 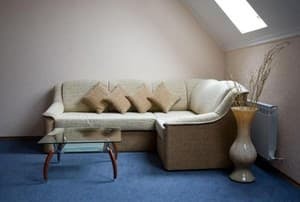 The room has a double bed with a width of 2.1 m, a folding couch, a wardrobe and a coffee table. Всё понравилось. Чисто, комфортно, персонал очень хороший, и цены приемливые. Wi-Fi хоть и есть но с ним, даже если удалось таки подключиться, то все равно, нереально было как-то работать. И покрытия 3Ж/4Ж тоже нет. Отдыхали с семьёй на Новогодние праздники с 31.12.по 02.01. Время провели просто замечательно. Утренний бассейн - чудесно. Дочке сильно понравилось, особенно вечерний шашлык на мангале, который любезно предоставленный нам администрацией гостиницы. В номере за 480грн. холодно, спал под двумя одеялами. Телевизор маленький, кухонный, висит на стенке далеко от кровати. В номере плитка грязная, в номере пусто, нет штор, нет вешалок для верхней одежды. В ванной ОЧЕНЬ холодно, утром был злой и замерзший. Долго ждал пока с душа потечет горячая вода. В душе вода брызгает в разные стороны, нет полотенца для ног. Больше в этот отель ни ногой. Хорошая небольшая гостиница. Приятный персонал. Хорошее впечатление только от ресторана. На сайте заявлено, что в отеле хорошая звукоизоляция. На самом деле она отсутствует напрочь. Все слышно что делается в соседнем номере даже шёпот. Причём с таким эффектом что все разговоры и движения происходят у вас в номере. Мы вдвоём с женой не могли заснуть до пол второго ночи из-за разговоров в соседних номере. WI FI не работал ни в номере ни в ресторане. Accommodation only on the main places. In the rooms of the category of junior suite and suite there is the possibility of providing extra space in the form of a sofa. 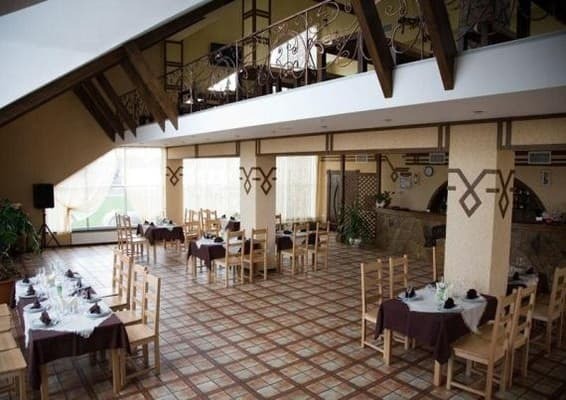 Hotel "Petrograd" is located at the entrance to Zhytomyr from Kiev, 7 km from the city center. The distance to the car station is 4 km. 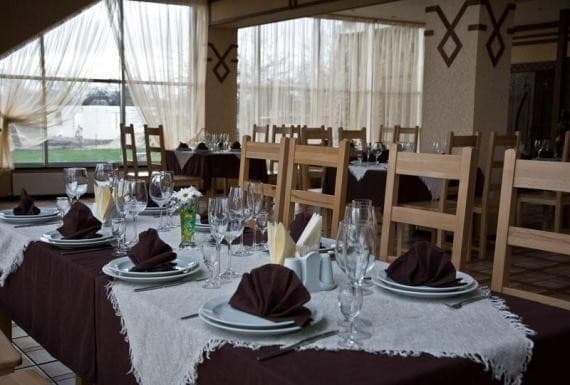 The hotel is located on the outskirts of Zhytomyr in the direction of Kiev, near the road.